Keenpac started working with White Stuff back in December 2014, just ahead of the busiest time of year! The full packaging range included these four kraft paper carriers, as well swing tags, tissue and stickers. Just for Christmas we also created a natural ribbed kraft gift box, with additional belly band to give it its seasonal touch. The plain gift box can now be used year round, with different sleeves created to add that seasonal touch. 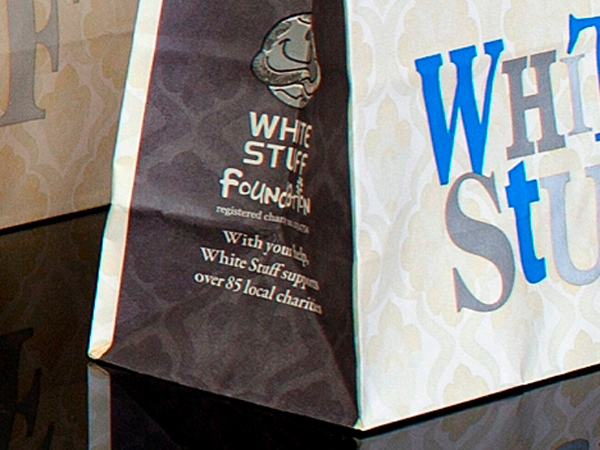 Machine made Kraft paper bags offer a cost-effective alternative to luxury carrier bags. Also known as SOS (self-opening satchel) bags, they retain a luxurious feel but generally involve lower costs due to being made by machine. Many of our retailers use Kraft paper bags for their outlet or sale bags because they look great, they’re strong and they’re cost-effective. They’re also environmentally friendly. Kraft bags can be fully recyclable and, when printed with vegetable inks on sustainable papers, offer a truly green option. White Stuff is a modern fashion and lifestyle brand, retailing women’s and men’s clothing and accessories in stores throughout the UK. The brand was first established back in 1985 by skiing pair George Treves and Sean Thomas who created their ‘Boys from the White Stuff’ T-shirts in order to subsidise their love of skiing. 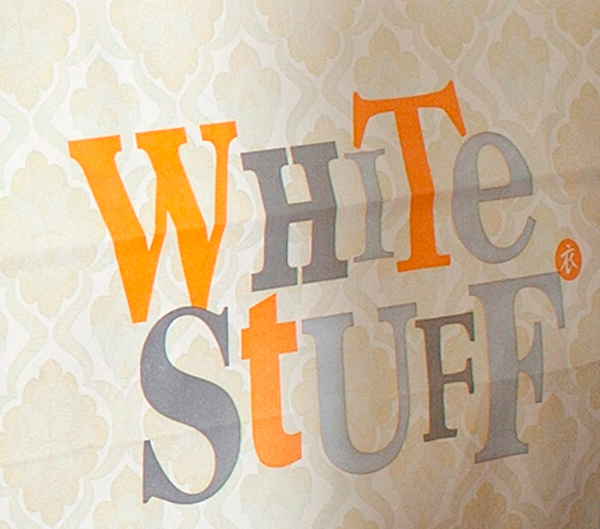 Now in 2014, White Stuff has evolved into a modern lifestyle brand, selling a wide range of women’s, men’s clothing and accessories, as well as goods for the home. 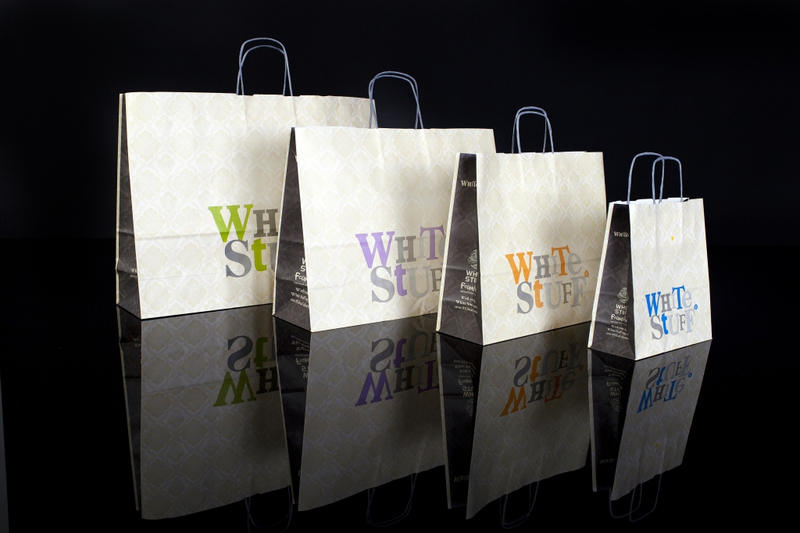 If you would like to see samples or talk to us about your Kraft paper bags, please give us a call on 0116 289 0900 or email info@keenpac.co.uk.